Again I adore this for summer and spring. It will be so cute with casual outfits in colors such as beige, white, light purple and orange. 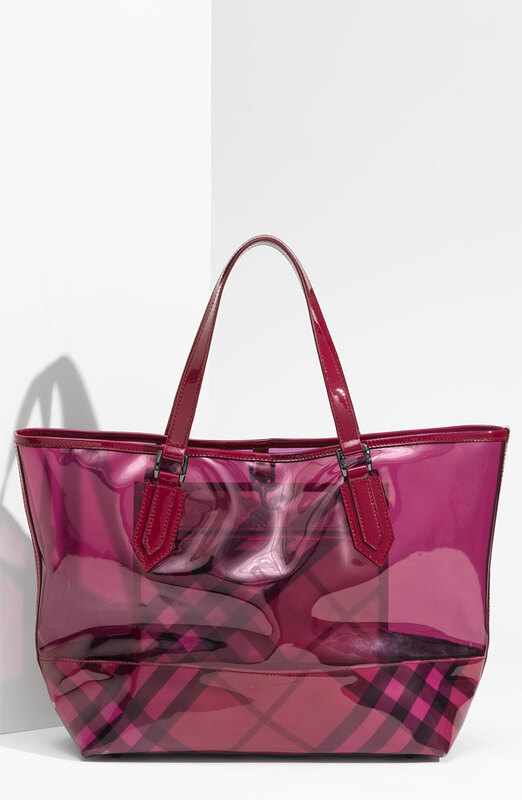 Although I adore anything pink and purple, I am not sure paying $775 for this plastic PVC Burberry tote is all that savvy. (image via Nordstrom.com) What do you think? After seeing my pink Swarovski iPhone 4 cover, I got an order for a purple and rose gradient iPhone cover. There is a very happy gal there! As a loving auntie, I am living my princess-wanna-be life through Savvy Niece. It is adorable on a little one but not so savvy on moi. Doesn't Gap offer the cutest kids' clothing at such reasonable price??? 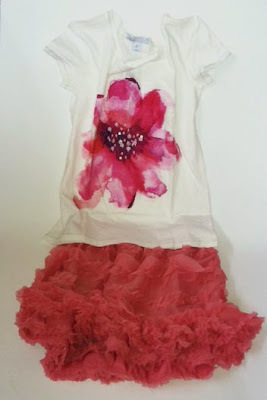 This skirt also comes in light pink, pale yellow and sherbet orange. I didn't see the style online though, perhaps only for in-store. What about you, what is your view on pink? That quilted bag is really great! 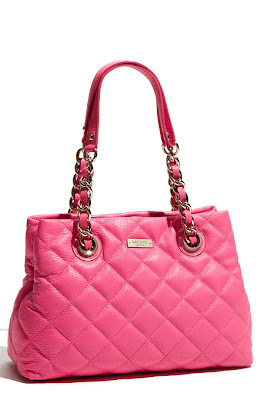 I love the color pink :) The first two bags are so cute! 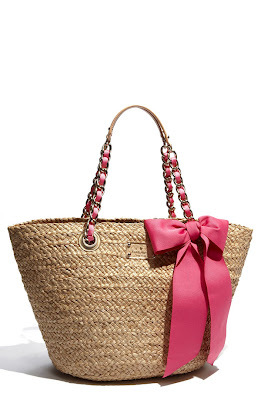 The basket with the bow is adorable! I am a big fan of pink anything. I own a lot of pink. I have a bubblegum-pink Balenciaga that I really should use more often. So true, pink acessories are super tricky. I try to wear them with lots of white! I love bright pinks in small doses (accessories) and lighter paler pinks are good for outfits... especially this season. You definitely need to take that Chanel bag out more often. Speaking of iPhone cases, I recently got myself a bright pink leather croc case, which I truly adore. pink has always been my fave color! Ohhhhhhh..... I want the first bag!!!! Oh I love those bags! 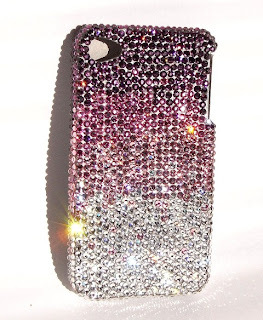 I love that iPhone cover and would love to have one just like it. Love all of your pink items. I wasn't really into pink until after I had the girls. Now I see pink everywhere!